The LastPass Blog: What's YOUR pick for the best LastPass Superfan photo? 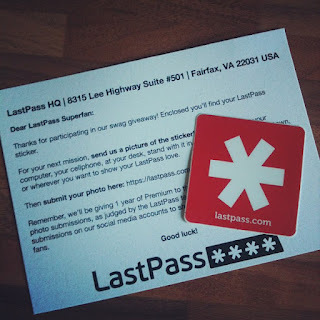 What's YOUR pick for the best LastPass Superfan photo? What ensued was an adventure in mailing several thousand stickers all over the world, and some of the best displays of LastPass love we've ever seen. And now, after reviewing the stickers in-house and selecting our "staff picks", we're asking YOU, LastPass users, to help us pick YOUR favorite photos! We'll let the voting run until 12pm (ET) Friday, July 20th, and we'll officially announce the 10 winning photos the following Monday. The winners will receive a year of LastPass Premium and special recognition on our blog and social accounts. *We will run more giveaways and promotions in the future, so if you missed out on this one, don't fret!